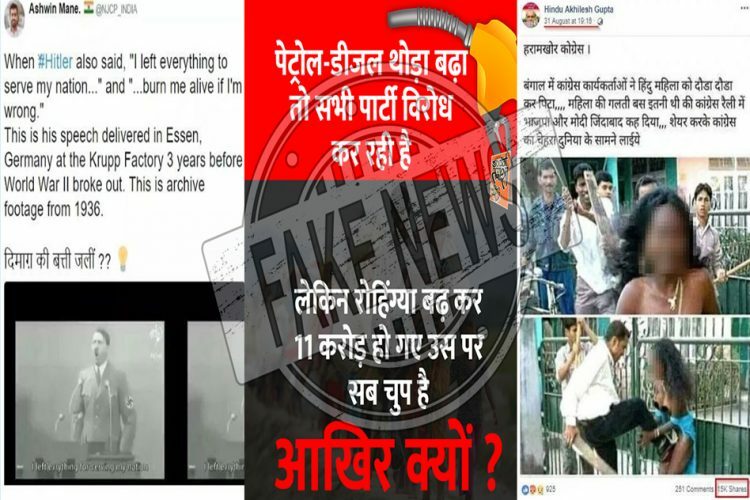 A series of fake news was circulated around the time of announcement of Bharat Bandh which was called by the Congress party and their allies on a continuous surge in fuel prices across the country. Several parts of the country observed a complete shutdown of public transport following the Bandh call. One of the most widely shared posts during this time said, “Petrol-diesel prices have risen a little and all opposition parties are protesting. Rohingyas have increased to 11 crores but everyone is quiet”. 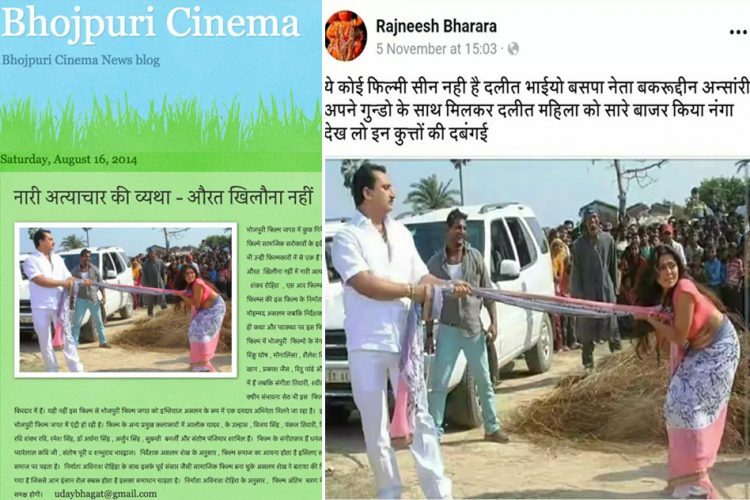 As reported by AltNews, this post was first posted by a Facebook page named Social Tamasha, from where it was shared over 3,000 times. On Monday, a popular Facebook page “I Support Narendra Modi”, which has over 15 million followers shared this post. From this page, the post was shared 21,000 times. Several other pages like Doval Fan Club, I Support Zee News, भा.ज.पा: Mission 2019 and even BJP MLA T Raja Singh shared a slightly contorted statement wherein the word ’11 crore Rohingyas’ was replaced with 8 crore Bangladeshi refugees. पेट्रोल डीजल 5रु महंगा हो गया तो भारत बंद।लेकिन 8 करोड़ बांग्लादेशी रोहिग्या क्या तुम्हारे जीजा लगते है जो उनका समर्थन करते हो…??? As UN International Migration Report 2017, India, in all has 5.2 million (52 lakh) refugees. This number includes refugees and economic migrants from any country of the world. Additionally, to say that 11 crore Rohingyas reside in India is highly impossible since Myanmar, the country from where this ethnic community was displaced, has a population of close to 5.4 crores. The UN Migration report also stated that the number of Bangladeshi migrants in India stands at 31 lakh and not 8 crores as claimed. 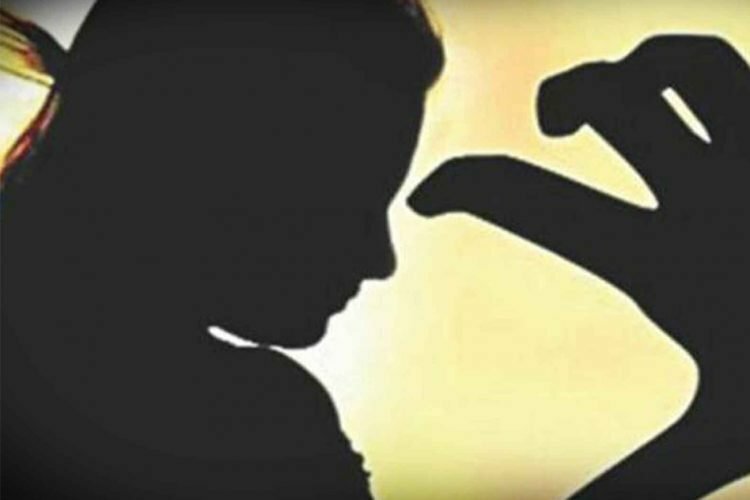 Two extremely disturbing images of a naked woman being chased and beaten up were doing the rounds on social media earlier this month. 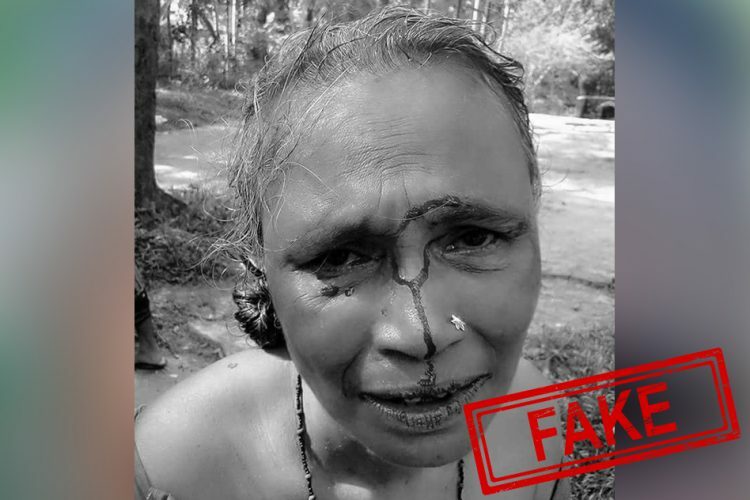 As reported by BoomLive, several Facebook pages like Hindu Akhilesh Gupta (now deleted) shared the images with a caption which said that a Hindu woman was beaten up by West Bengal Congressmen for raising slogans hailing PM Modi in a Congress rally. 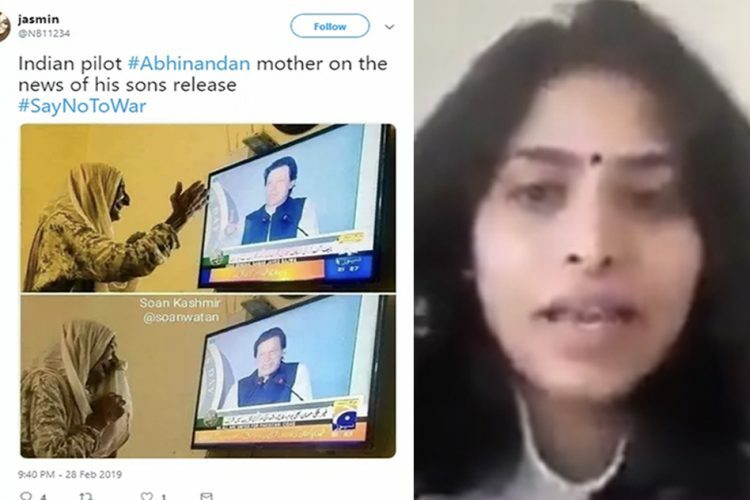 Reportedly, this image crops up every now and then and context is tweaked to suit political agenda. In reality, the image is 11 years old. 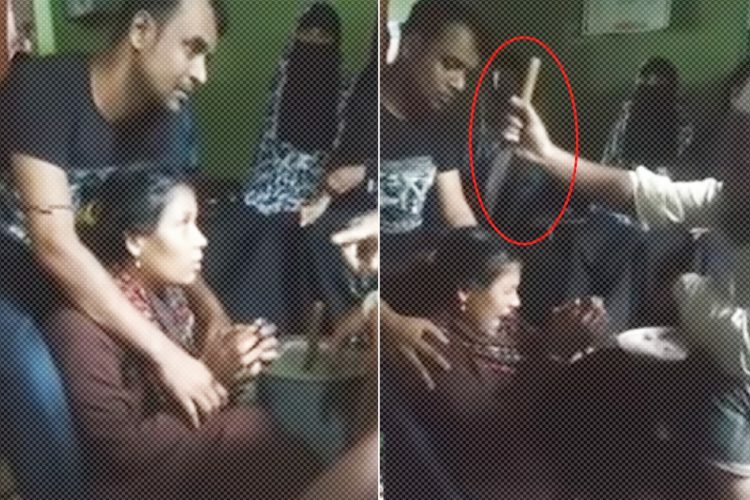 The shameful incident in question is that of an Adivasi woman being stripped and chased by ethnic rioters in Assam while bystanders took photos and videos of the same, as reported by The Telegraph. The message which was shared widely last year claiming that the Shivaji memorial statue, being built in Mumbai, will have solar cells and RUPAR technology is yet again being circulated. These messages and posts claim that the electricity generated by these solar cells would be enough to be supplied to all government offices in Mumbai. And the Radial Uniform Projection And Ranging (RUPAR) technology would help in avoiding terrorist attacks like 26/11 like attacks in future. As reported by The Quint, the sculptor of the statue, Anil Sutar has said that the statue would be made of bronze and not of solar cell materials like amorphous silicon, cadmium telluride and copper indium gallium selenide, as claimed in the message. Also, the message claims that the statue will have RUPAR technology built by IISc. However, when The Quint enquired, IISc denied having any knowledge of such technology being developed. 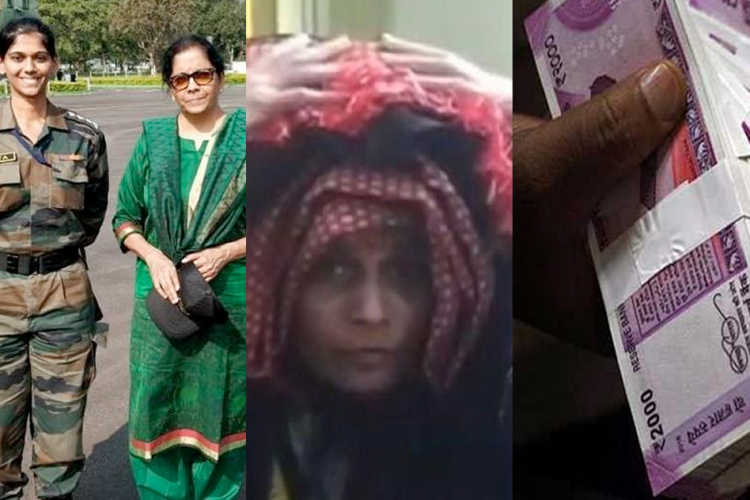 Several people and pages followed suit and posted the same and drew similarities with PM Modi’s speech following the announcement of demonetisation in 2016. In his speech, he had said that he is afraid of being burned alive. 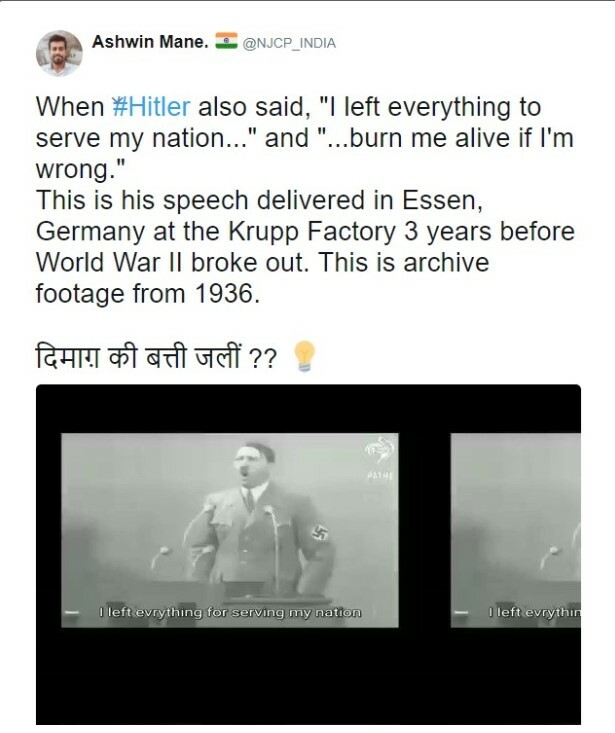 Upon investigation, AltNews found that translation was incorrect and Adolf Hitler did not say, “Burn me alive if I am wrong”.